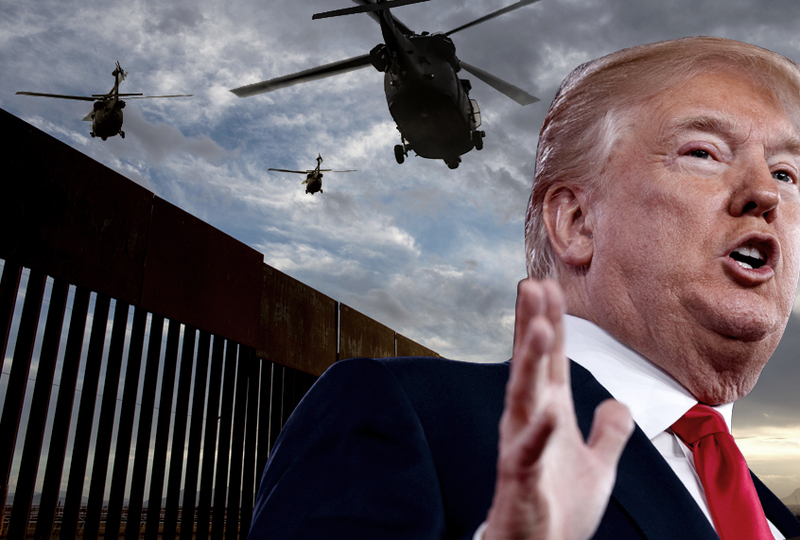 You're excused if you're confused by Trump's sudden need to militarize our southern border. To listen to our Liar-In-Chief you'd think hordes of rabid armed Hispanics are surging across the border and threatening Americans. 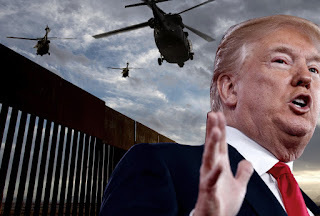 It's interesting and telling that there are not yet any details about that Guard shift to the border; Trump's decision caught pretty much everyone by surprise. The contradiction is that he wants credit for lowering border crossings, but suddenly thinks the problem is so urgent as to require military intervention. Homeland Security Secretary Kirstjen Nielsen even called it the "Trump effect" when she briefed reporters at the White House Wednesday -- pointing out that his policies had led to a decrease in crossings during his first year in office. But then she said that despite the many actions the administration has taken to discourage them and to end programs, "we've recently seen the numbers of illegal border crossings rise from 40-year lows last April, back to previous levels." That's the opposite of what Trump said Thursday -- that crossings were at a 46-year low. t's also worth bearing in mind that Trump has pivoted in April to a hard focus on the border and his frustration with Congress. That he also has an eye on midterm elections, where Republicans are facing headwinds, and how that issue will play with the voters who put him in the White House has been documented by CNN's Jeremy Diamond. As usual, Trump is trying to have it both ways on an issue. This not only confuses his staff and government department heads, but the American public too. Remember the little boy who cried wolf once too often? Trump's base whistle, "The Mexicans are coming! The Mexicans are coming!" is just another example of exploiting fears among a small population of voters who wear his silly red MAGA hat, and think carrying AR-15s around is patriotic.